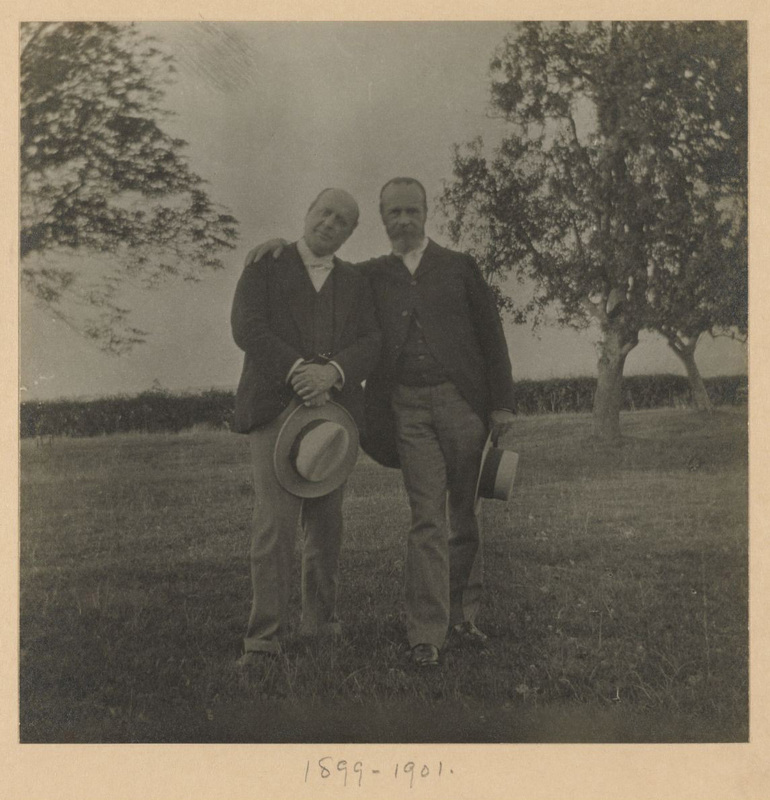 This photograph depicts one of my favorite novelists, Henry James, along with one of my favorite philosophers, his older brother, William James. Most touching, I find, is Henry’s easygoing openness – all the more remarkable since he is commonly regarded as a rather distant, extremely formal, even forbidding writer. This photograph from the James family albums held here at Houghton shows that love of family is a basic human constant. The papers of both of these figures were among a select group of major donations announced at the formal dedication of Houghton Library on 28 February 1942.